“Sonic and friends are back!” is usually a saying that would make me pull out a gun, but Sonic & All-Stars Racing Transformed welcomes every franchise Sega can pull out of their arse and organises them into unique vehicles and tracks. Easily mistaken for a kart racer, this game stands on its own and can’t really be compared to anything. If you have to pigeon-hole it, just imagine Mario Kart meets F-Zero at a furry convention and they have a baby with a missing leg. What it really is; an extremely fun arcade racer that uses SEGA’s franchises to create some amazing tracks and a solid experience on Wii U. YES! A budget racer on Wii, if there’s one genre I know well, it’s this one! I jumped for joy when I saw this game in Kmart, possibly scaring the lady at the counter. There was no sign of Zelda, Xenoblade, or The Last Story on the shelves, but sure enough: 20 copies of Crash Car Racer! It has to be good, right? At $15AU I had to find out. The name Crash Car Racer does a pretty good job telling you what it is: a racing game with cars that crash. However, it’s not really ABOUT crashing, it’s just a normal racing game that happens to have completely broken physics, conducive to crashes. The disconnected car handling, poorly programmed AI, and bizarre tracks all combine to create a game that pretty much crashes itself every lap, no matter what you do. Oh yes, this game exists. Reception of the first game was mixed – some people actively hated the game, some passively hated it. Big Beach Sports managed to sell over a million copies; a very impressive milestone for any game. Despite this claim to fame, the game was a broken mess, and was only popular for being the first Wii game to feature Cricket. The motion controls didn’t work and it was a frustrating game to play. THQ decided this was a formula for success, and now it’s back. I’ve been lucky enough to get my hands on a copy of Big Beach Sports 2, and I thought I’d give THQ a chance to redeem themselves. After all, they went to the effort of getting a special team to handle this sequel. What could go wrong? With two all new racing mini-games, I couldn’t help but try it. We revisit the suspenseful, exciting past quarter of the gaming industry, as witnessed by U.S. President Barack Obama. 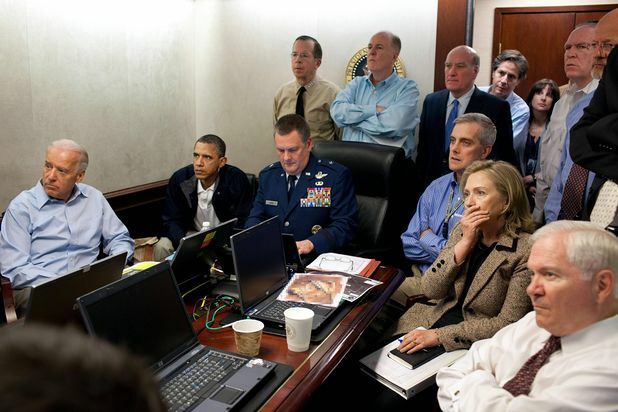 Obama and his advisory team closely monitoring the PSN outage. Tension is at an all-time high.